Iowa’s aging population and wider access to healthcare by previously uninsured residents have precipitated a nursing shortage to further complicate an already complex health care delivery system. The shortage of nurses is not limited to Iowa, as the U.S. Registered Nurse Workforce Report Card and Shortage Forecast depicts, the shortage will spread across the country and grow to 1 million by 2020. While healthcare organizations and educational institutions work together to combat the dire consequences of a deficient workforce, another critical problem comes into play. In a 2010 report, the Institute of Medicine recommended that 80 percent of the workforce hold a minimum bachelors of science in nursing (BSN) degree by 2020. It is to meet this recommendation that the Iowa Action Coalition set out to increase the number of nurses who have a BSN degree. At the initiation of the effort, the percentage of Iowa’s nurses holding a bachelor’s degree stood at 26 percent, which is well below the national average. Today, at 46.5 percent, the workforce is much closer to the IAC’s goal of 50 percent by 2020. In spite of the limitations of the workforce, hospital employers prefer BSN-prepared nurses. 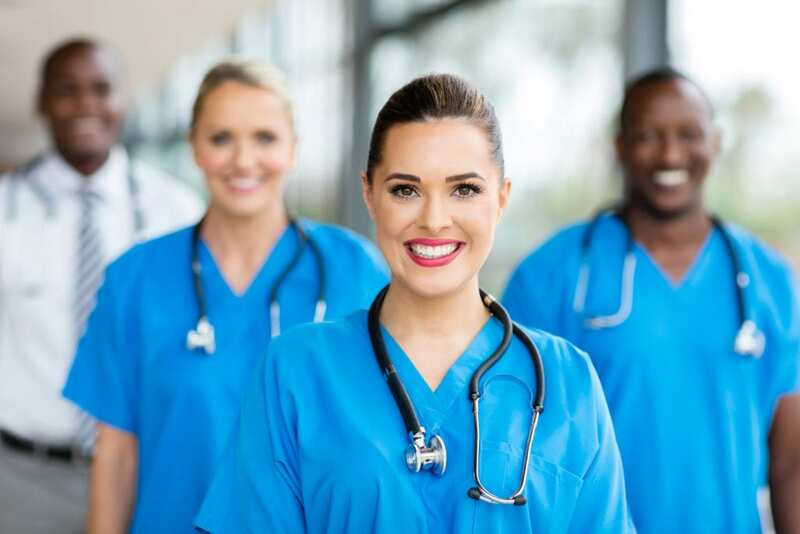 Those who complete the BSN through direct entry or through RN to BSN programs get the best opportunities because employers recognize their superior training and valuable contributions. Studies suggest that the better educated the workforce the better patient outcomes will be. When the workforce has a higher percent of BSN educated nurses, mortality and failure-to-rescue rates will decrease. Joining the ranks of BSN nurses should be every nurse’s purpose. It will not only open the best opportunities and improve your proficiency in practice, but will also strengthen your chances of pursuing a master’s or doctoral program. Completing a graduate nursing program will let you join the ranks of the 13 percent of nurses who move on to this stage to become a nurse educator, nurse practitioner, and researcher. Colleges and universities need nurse educators. Each year, thousands of qualified students are turned away due to a lack of faculty, resources, and clinical site availability. The primary care industry also has a considerable need for workers. Nurse practitioners can help to fill the gap caused by a deficit of primary care physicians and physician’s assistants and expansion of the number of residents who now have health care coverage. 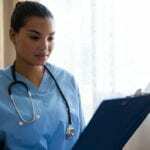 As the emphasis in health care shifts from task-oriented, in-house duties to a community setting, more nurses will be called to practice in long-term and home health care. 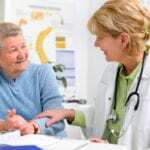 Their duties might include home visits, identifying patients who would benefit from long-term care, and telemedicine and ambulatory care. The BSN curriculum prepares students to manage high-risk patients and offer preventative solutions when needed. It also lays the foundation for independent practice, acute care, and advanced clinical roles. BSN graduates have a panoramic view of the health care system as they cover topics in advance of those covered in the associate’s program. They are proficient with technology and medical therapies and are generally prepared for new roles in the evolving world of health care. 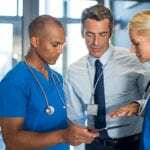 Given the benefits, both long and short term, it is feasible for anyone considering a career in nursing to enroll in the BSN program and get the degree from the onset. Such a decision will eliminate the barriers that prohibit nurses from returning to school later on. LPN to BSN: The LPN-BSN program is a path for licensed practical nurses to earn a bachelor of science in nursing degree and become eligible to take the RN licensure exam. The curriculum follows a flexible sequence that meets the unique needs of working LPNs. It emphasizes professional knowledge, clinical skills, and compassionate care to prepare students for entry-level clinical practice as a registered nurse. RN to BSN: Job and family responsibilities may inhibit many nurses from going back to school. The RN-to-BSN program makes it easier for nurses to complete the BSN and improve their career outlook. Most programs are offered in an online format and designed for completion in 12 months. The curriculum builds upon nurses’ skills by providing training in research, leadership, and liberal arts so that they may offer patients a higher level of expertise and care. The program is specifically designed for those who wish to take up management positions in healthcare. The curriculum includes nursing and general education courses for students to graduate with a BSN. Graduates will have enhanced decision-making and critical thinking skills, leadership and management skills, and will be prepared to utilize evidence-based practice to improve patient care outcomes. Traditional BSN: The BSN program prepares students to provide compassionate and safe health care to individuals, families, communities and groups across the lifespan. Through theory and clinical experiences at teaching hospitals, students will develop the skills necessary to positively impact the lives of patients. Lower division courses include general education classes and basic science and nursing courses that emphasize wellness, nutrition, the history of nursing, and pathophysiology. Upon completion of the BSN program, students will be qualified to take the NCLEX-RN and become a registered nurse. Fast-track BSN: The second-degree BSN is designed for adults who are looking to re-start their careers and move into nursing. Those who hold a non-nursing degree can move into the challenging and rewarding career in nursing by completing the accelerated curriculum and earning a BS in nursing. Programs are typically offered on a full-time basis, giving students the opportunity to complete the requirements in just 12 months. The program covers core nursing courses that must be completed in sequence. Prerequisite courses may include general psychology, human anatomy and physiology, statistics, microbiology, and chemistry. At the conclusion of the program, graduates will be eligible to take the NCLEX to become a registered nurse. The traditional BSN program is designed for adults with no prior education or experience in nursing. It lays the educational foundation for professional nursing practice and graduate study in nursing. The curriculum balances academic learning with clinical experience to inspire continued learning. The BSN is a pre-licensure program that requires students to complete the first two years in prerequisite courses before commencing and completing the core nursing courses in the final two years. Instructors will direct students in a simulated patient environment so they develop clinical skills in preparation for supervised clinical experiences in a professional environment. The clinical experience will take place in a variety of health care settings, including local hospitals, community clinics, long-term care facilities, and home care agencies to prepare students to work with diverse group in the fast-paced world of health. When considering BSN programs, it is essential to choose one that is accredited by a recognized organization, such as the Commission on Collegiate Nursing Education (CCNE) and approved by the Iowa Board of Nursing. Students who are offered admission will be required to pass a criminal background check, complete the health requirements, and undergo drug testing to participate in the clinical practicum. A criminal conviction may bar you from entry. The expected shortfall of one million nurses by 2020 attracts the interests of thousands for adults who are trained for another profession. They may choose to enroll in the second-degree BSN to benefit from the career opportunities in nursing. The accelerated bachelor of science in nursing (ABSN) is designed for individuals with a non-nursing bachelor’s degree who want to pursue nursing as a second bachelor’s degree. Building on the foundation set by the bachelor’s degree, the curriculum covers 12 months of theory and clinical nursing courses. Graduates are prepared to function as a vital part of the health care team. They have the knowledge and expertise to advance their education to the master’s or doctorate degree at the end of the program. Applicants must have a non-nursing bachelor’s degree from an accredited program. Students entering the BSN program through the traditional route will pay for to complete the general education and prerequisite courses in four years – or eight semesters. RN to BSN and ASBN students can complete the requirements in two semesters and will cost substantially less time and money than the direct entry students. The average cost of tuition is $27,560 per year for full-time students. Additional costs, such as student fees, textbooks, supplies, criminal background check, health requirements, and prerequisite courses will increase the total cost. Here’s a list of Iowa Board of Nursing approved BSN programs and NCLEX-RN pass rates.